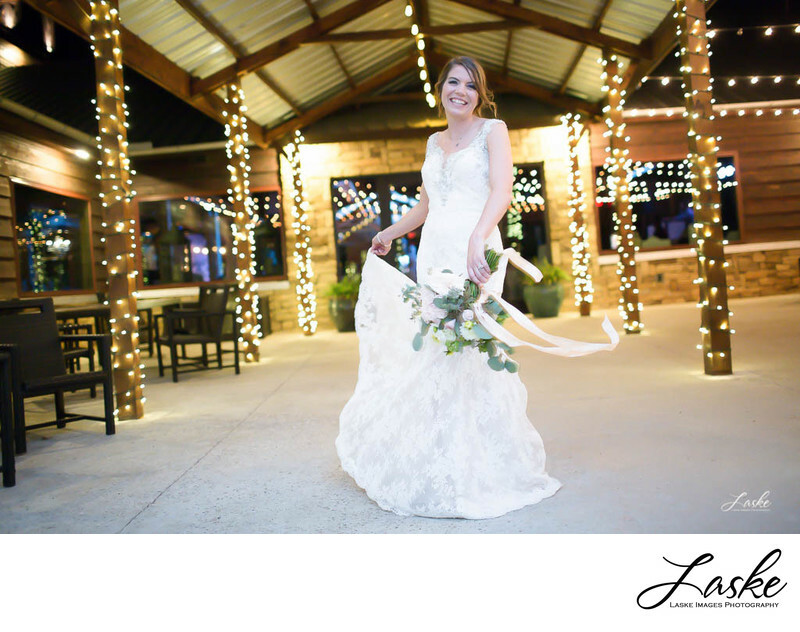 Bride Twirls around in her dress during the reception at Southern Hills in Goldsby, OK.
Bride twirls around in her dress as she walks outside the reception area of Southern Hills in Goldsby, Oklahoma. The walkway is lit with Christmas lights. 1/100; f/1.8; ISO 1250; 35.0 mm.